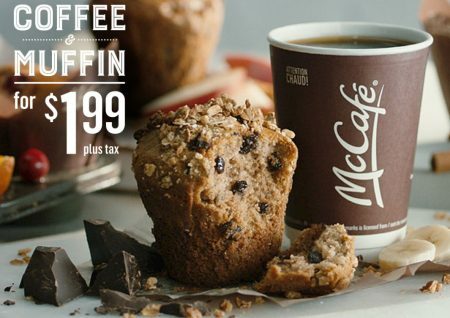 For a limited time, McDonald’s Canada is offering a Coffee & Muffin for $1.99 plus tax. The offer is available at participating McDonald’s restaurants in Canada for a limited time. You can upgrade to a medium, large or specialty coffee for an upcharge.